Solid Axle vs. IFS in Ultra4: Why the Debate? Independent suspension systems have been utilized in the production car market for decades - and while it provides a smoother ride over solid axle systems, the debate is heavy in the off-road segment about which suspension set-up is best when you’re off the beaten path. Ultra4 takes “off the beaten path” to its most extreme — requiring not only fast desert speeds but also the utmost crawlability through monstrous rock sections. So how do you choose between the two? 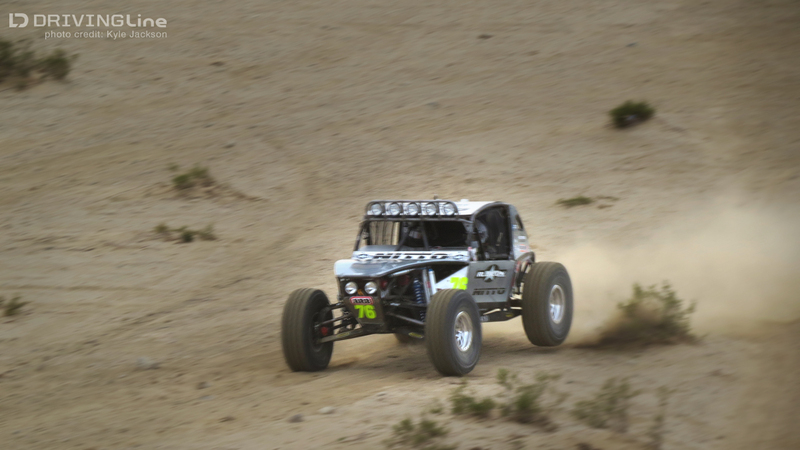 Loren Healy scales Backdoor in his solid axle buggy. 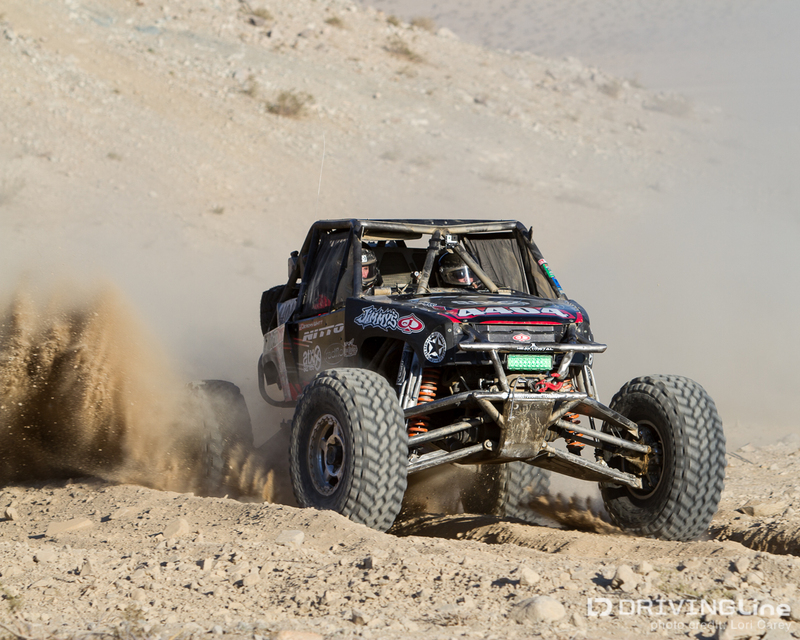 Loren Healy, 2014 King of the Hammers, knows what works for him. At last year’s Superlift race, he made the choice to swap his new IFS (Independent Front Suspension) car for his older, solid axle buggy. The choice was the right one for that competition, as Loren walked away with 1st place. 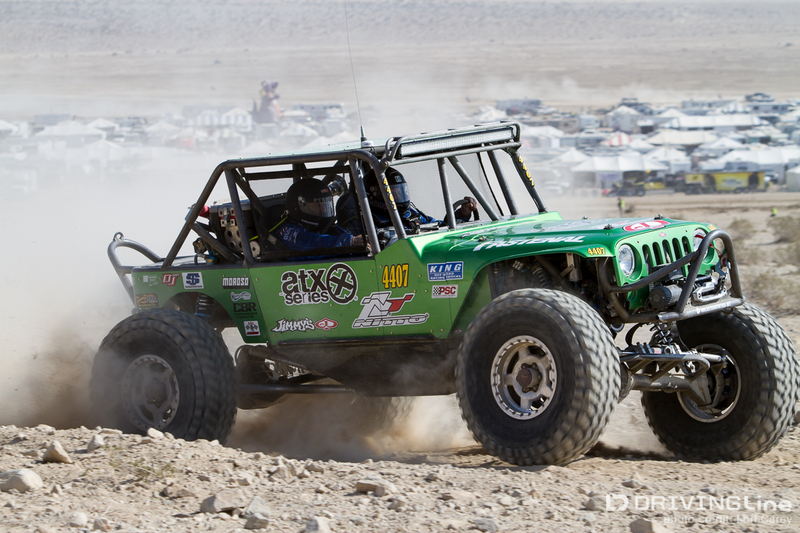 Then, at this year’s King of the Hammers we spoke with him about his decision to stick with his solid axle buggy and Loren said his strategy was to play to his weakness — since the rock sections are what challenges him most, the solid axle is the way to go because it gets through those parts better. Nick Nelson pummels through the desert dirt with IFS suspension. 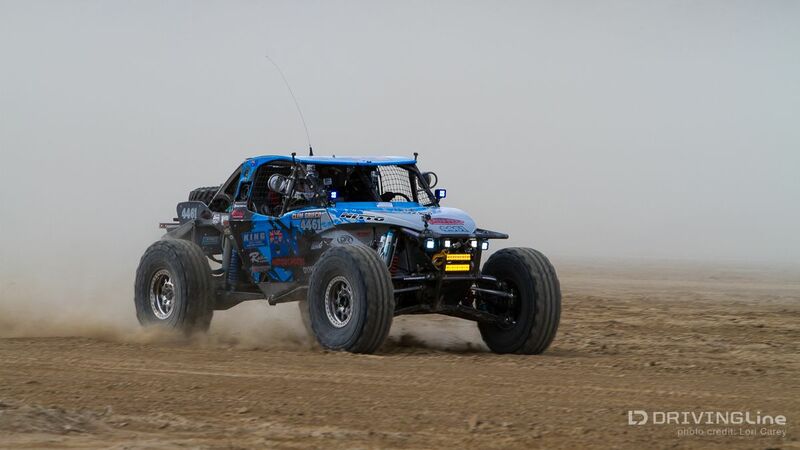 The overall consensus from Ultra4 racers is that IFS gives you the upper hand through the desert while solid axle is an advantage in the rocks. Nothing can beat the way independent suspension absorbs uneven terrain at speeds upwards of 100mph. Solid axle however, is noted to have more ground clearance and better maneuverability (turning radius) within the rocks. Rick Mooneyham shows how a solid axle articulates. If you're new to these car types — an IFS car is easily identified by a narrower front end and diagonal supports going to the front tires (below), whereas a solid axle has a straight axle going between the front tires (above). Ben Napier speeds smoothly with IFS. 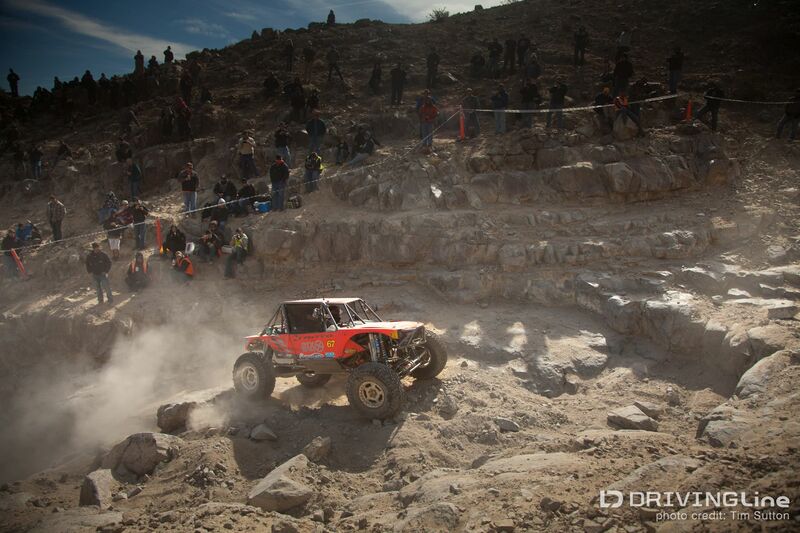 Derek West heads toward the mountain to conquer it with solid axle. IFS systems come with a $30,000+ price tag over solid axle as well as needing more maintenance. As Ultra4 racing continues to provide great R&D for bigger and better off-road parts, I’d venture to guess that in coming years we’ll see IFS continuing to evolve and overcome it’s shortcomings. Randy Rodd choosing solid axle — specialized and tuned shocks help reduce bouncing around while driving at speed through the desert with solid axle. This year’s changes in Ultra4 racing series’ rules may also have some effect. In years past, a driver had to run the same rig in all of a year’s races — now they’ll be able to keep more than one rig in their arsenal. Meaning that for courses with a lot of wide-open stretches a racer my opt for their IFS car, but switch to a straight axle one for tight and technical short course races. 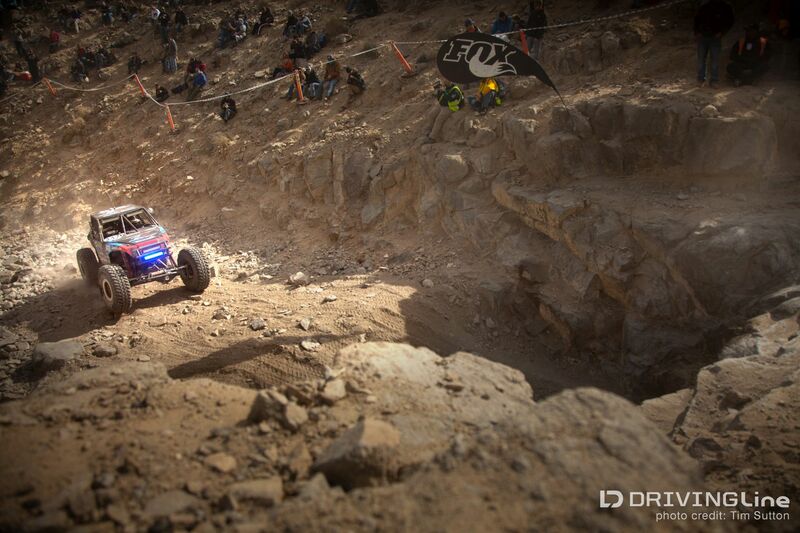 Surely the 2014 Ultra4 Championship series will provide plenty of opportunities for this debate to continue playing out…I’m lookin’ forward to it! Jason Scherer running with IFS.